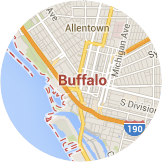 Buffalo, NY averages 28.75° F in winter. You need a well-insulated garage door to keep the heat inside and the cold out. There's no better way to understand the quality of our products than to watch them being tested against others in a lab. Your door is only as good as its installation. That’s why GARAGA offers its customers a network of certified installers. 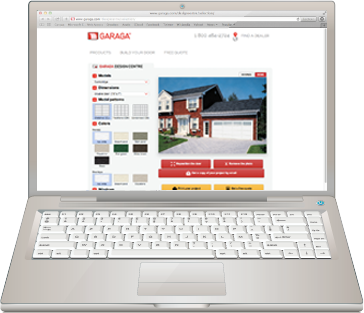 In Lockport, NY you can benefit from over 4 years of experience with GARAGA products. Read more on Crawford Door of WNY Inc.
Read more on Adams Door Company Inc. According to a cost-value study made by the magazine “Remodeling”, midrange projects to replace a garage door cost on average $1,493 in Buffalo. In fact, houses in Buffalo, NY recoup an average of 84.9% of their garage door cost when they are sold. Top 2 most popular door models in Buffalo, NY: Standard+ and Acadia 138. GARAGA garage door experts in and around Buffalo, NY are masters when it comes to garage doors and always take into account the region’s climate and architecture. This is why they are able to give you top-notch recommendations that suit your unique preferences and needs, while staying in harmony with the area’s charming character. 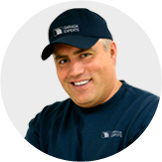 When it comes time to choose a residential garage door, trust these experts in their field. Let them guide you through the various aspects of making your purchase, for example, the main purpose of your garage and where it is located in relation to the house. Then, they will ascertain what level of insulation you need, the garage door opener model and all its accessories. Last but not least, you’ll select the all-important decorative components for your door such as the model type, color, texture, windows and hardware. The LiftMaster range of products is number one when it comes to garage door openers. 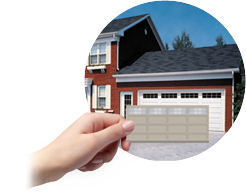 Buffalo-region garage door experts trust it the most for several reasons. LiftMaster, part of The Chamberlain Group, has been working in this industry for many years. The quality and dependability of their products is reflected in their expertise. Their garage door openers have great durability and this is very often stated by garage door professionals. LiftMaster door openers are easy to use and can adapt to anyone’s specific needs. For example, if there is a bedroom located above the garage, a quieter model is preferred. They also work on all door types. Lastly, this brand offers a large variety of accessories made to help safely use a garage door. In conclusion, installation of a garage door done by a skilled technician and regular inspections ensure the optimal operation of a garage door system. These procedures will promote efficiency, durability and safety. Experts in the Buffalo, NY region provide diligent work when performing the installation, repair and maintenance of residential or commercial garage doors. In order to prevent mishaps and unnecessary expenses, a yearly check-up program can be arranged for you. An inspection will be conducted by our teams. This way, your garage door system will stay in tip-top shape all year round!